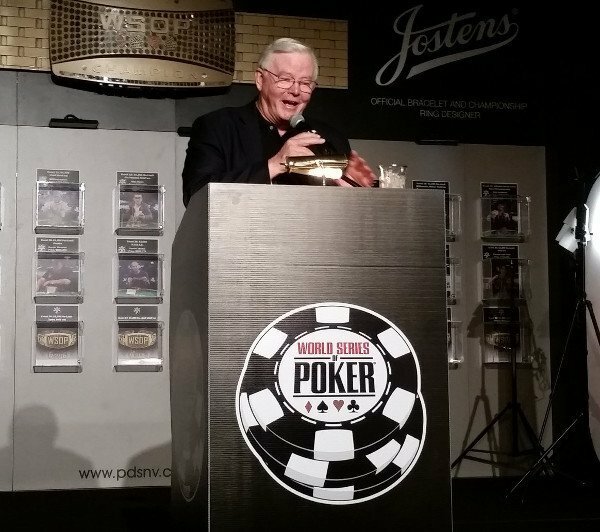 On Sunday, Representative Joe Barton (R-Texas) stopped by the World Series of Poker to offer up the “shuffle up and deal” announcement for the $1,000 buy-in No Limit Hold’em event. 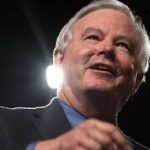 Barton was on hand to talk about the Internet Poker Freedom Act, the bill he introduced to the House of Representatives last week that would provide a federal regulatory framework for states that want to offer online poker. After kicking off the day’s festivities at the WSOP, Representative Barton was invited by the Poker Players Alliance (PPA) to talk about his bill. I had a chance to sit down with the Congressman and discuss the legislation, as well as Barton’s own relationship with the game of poker. The new version of the bill is similar to the one introduced in the last Congress, with just a few minor changes designed to clarify the bill. “It’s the same as last year’s bill,” Barton told me. “We just clarified a few issues, rechecked with the stakeholders and made sure that the Indian tribes that are supportive are okay with the regulatory regime. We set up an Indian commission that is similar to the federal commission for the states. We start with the premise that we’re going to allow it in every state, but we let the tribal leader or governor of a state that wants to opt out to send a letter to the Secretary of Commerce, and they don’t have to participate. 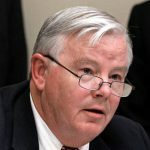 Barton says he believes that regulators in states that currently offer online gambling have already shown that geolocation technology can work, despite what some supporters of the Restoration of America’s Wire Act might claim. It is well-known that Barton’s bill seeks only to regulate online poker, and doesn’t include provisions for other casino games. However, the Congressman told me that the bill would create a framework for interstate poker without harming intrastate online casino offerings. Barton also spoke to me about his own background in poker, and how that has driven his interest in this issue. “I’m just an amateur player,” he said. “I go up to Oklahoma to play three or four times a year. I play in some home games up in Texas and in Washington. My dad was a real good poker player, but I’m just an average amateur player. But I like to do it, and I think that American citizens who are adults who want to play poker online ought to be able to. One of the more perplexing facets of poker in the United States is the fact that Texas, the state that lends its name to the world’s most popular form of poker, doesn’t actually allow for casinos or poker rooms under state law. However, Barton believes it is only a matter of time before this changes. “There are some state legislators who support it,” Barton said of legalized poker in his state. “Texas is a very conservative, religious state, and some of the major institutional church organizations oppose it. The good news is that they’re involved politically, and I support that. In this case, the bad news is that they’re against what I want to do. But I think it will happen in Texas. “It’s silly: in the parking lots in Oklahoma, almost every car is from Texas. When I sit down at a table, invariably there are two or three people from my district or from the Dallas-Fort Worth area. They’re just there to have fun and hopefully win a little money, but they’re like me: they have to drive an hour and a half or two hours to do it. I think Texas will eventually allow a local option for poker rooms or casinos. We have a state lottery, and we have several race tracks. 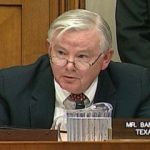 When I asked Barton if he had heard from many of his constituents about the online poker issue, he said that while there hadn’t been much chatter about his bill this year, that was likely only because it had just been introduced last week, as the previous bill generated a lot of interest across the country. “Last year, the PPA really generated a lot of support for my bill,” he explained. “It would come up in town halls and a lot of Congressmen would walk up on the floor and tell me that someone from their district had talked to them about it. Of course, it’s unlikely that the Internet Poker Freedom Act will be signed into law anytime soon. But that doesn’t mean that there isn’t any hope, nor that Barton’s bill won’t get at least some attention in the current Congress.